When a new child is born, godly parents stare lovingly at their gift from the Father and wonder, "What will this child grow up to be?" They name the child, taking great care not to give that child a name that will be a burden. They want their child to be blessed by God and to be a blessing to others. But they don't know, they can't know, what lies ahead. 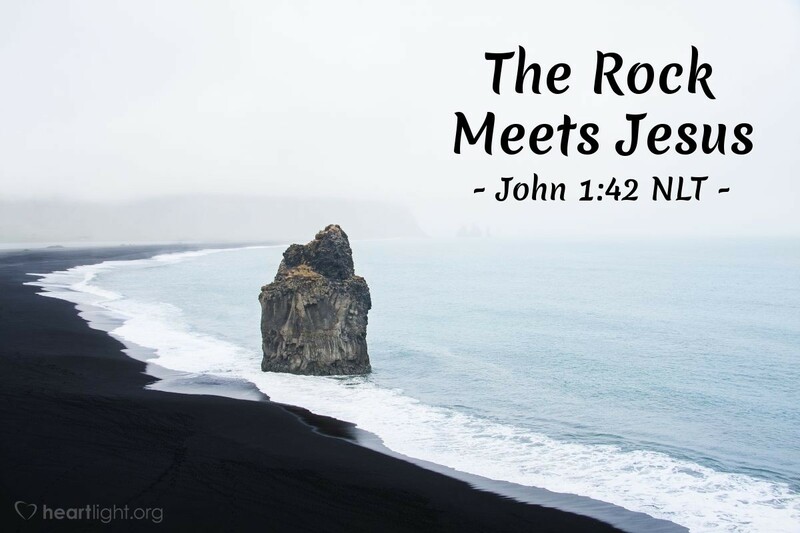 Jesus changed Simon's name to Peter (Cephas), or the Rock. Jesus could look beyond Peter's blustering ego and horrible failures to the man who loved God and who could be used mightily for the Kingdom. What does Jesus see in you? No matter where you have been or the road you have taken to this point, Jesus can give you a new life and a new name. He has great plans for you. Don't be dismayed. Don't let discouragement claim you. If he can change Simon into the Rock, he can change you and use you mightily, too! Father, please help me trust that you have great plans for me. Please help me catch a glimpse of what you can do with me and through me to bring you glory and bless others. In Jesus' name, I pray. Amen.